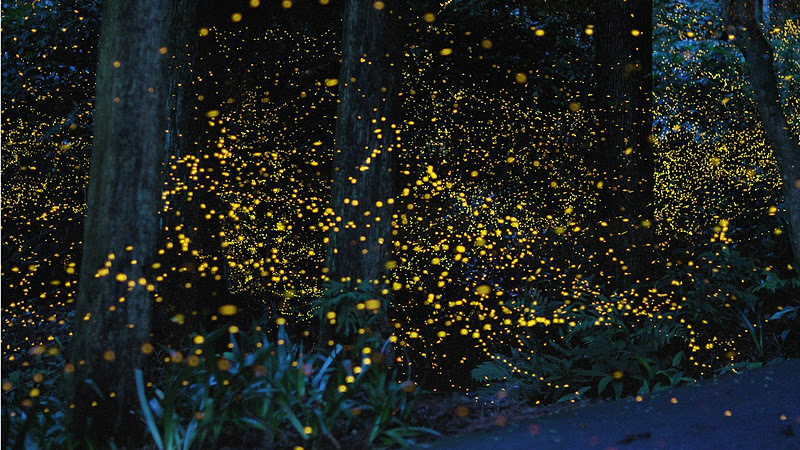 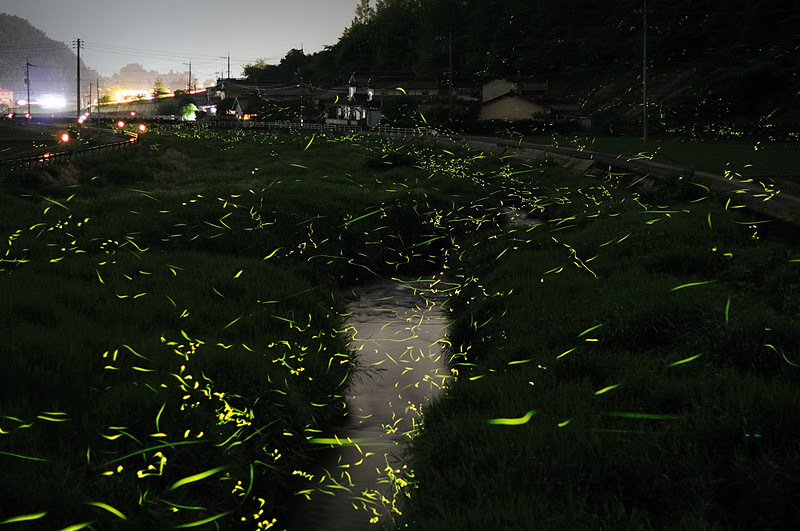 2 responses to "Long-exposure photos of Golden fireflies"
These images are great! Would you mind sharing the settings. 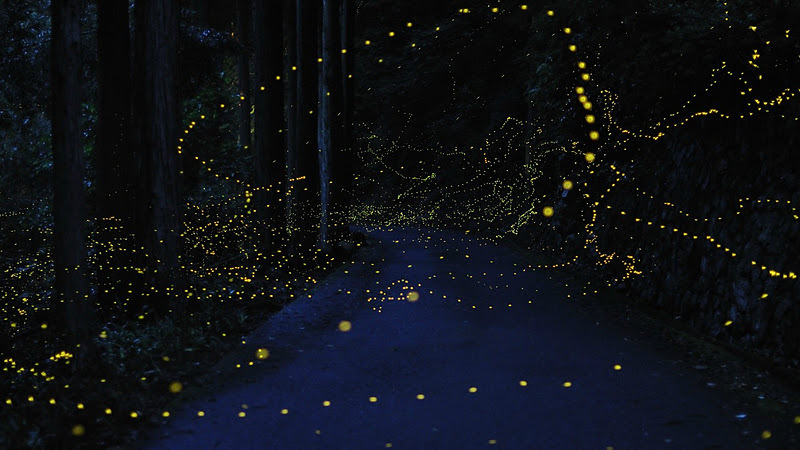 How did you get the longer trails in some of the pictures? Awesome pictures. 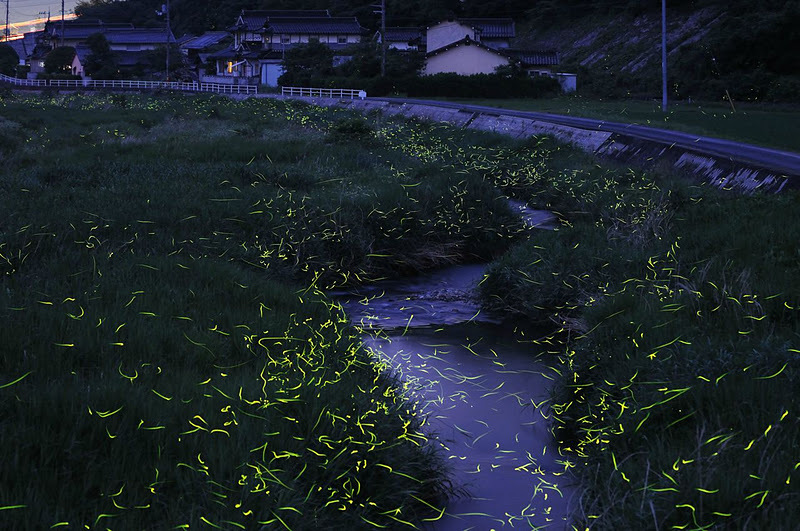 It is interesting that these fireflies behave very differently than the ones I saw when I lived in Iowa. 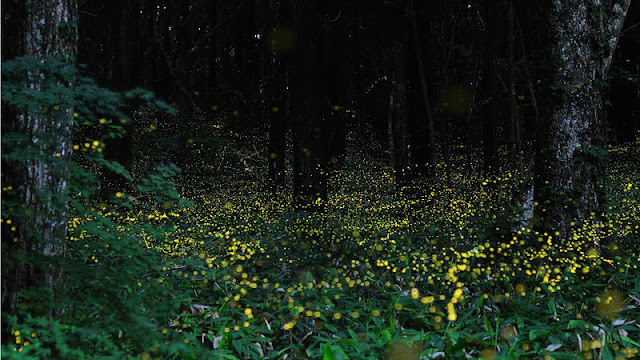 My backyard was up against a field, and in early summer, the field would be covered in fireflies. 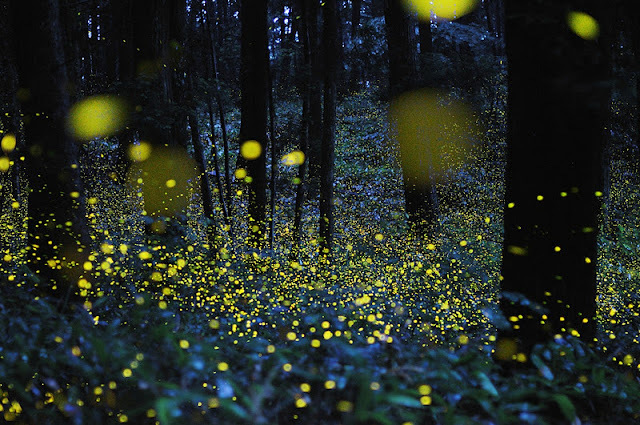 I noticed that when they glowed, they were almost always flying up, like embers rising from a fire. 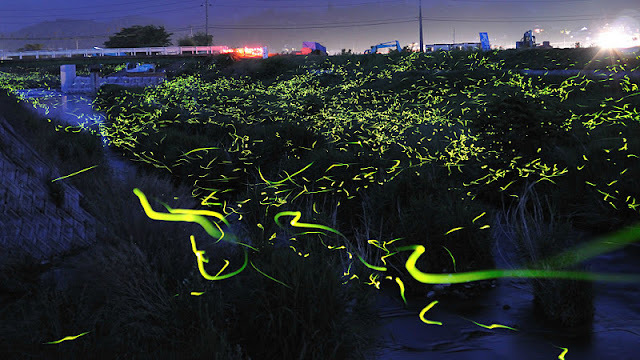 If they had been photographed like this, you would have seen a field full of vertical streaks.